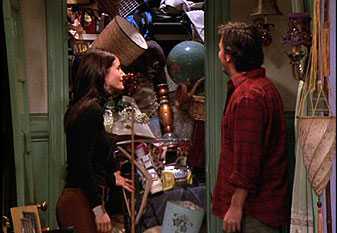 Unfortunately for many of us, especially those of us living in small spaces, the closet becomes that place we throw all the stuff we want out of sight. It’s the junk drawer of your bedroom. Need to move your winter gear from the entranceway? Toss it in the closet. Need to store away presents from in-laws you only bring out when they come over? In the closet they go. Old dog bed? Backpacks? Extra jackets? Closet, closet, closet. Needless to say, things can get messy and disorganized pretty quickly. Of course, closets are meant for storage, but there is a way to keep them clean and organized. Follow the tips set out by Clare Kumar, chief organizer at Streamlife, in this DIY closet organizing video and your closet will be orderly in no time. Keep things visible, accessible and manageable, and you’ll stay on track. Jackie Marchildon is the bilingual freelance writer and editor whose experience ranges from human rights writing to travel blogging to educational publishing. Nowadays, she spends her time searching for hidden gems across Toronto, whether it’s new neighbourhoods and restaurants or upcoming trends in real estate and home decor.